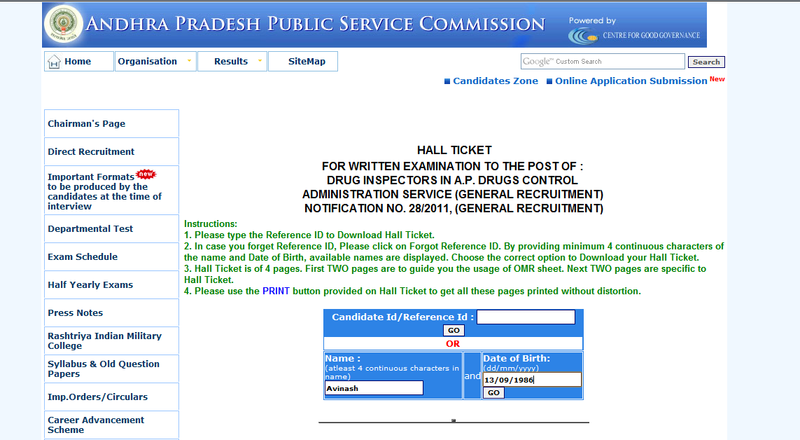 The hall tickets for the exam of Drug inspector as per notification mentioned by AP State Government in year 2011“NOTIFICATION NO.28/2011, Dt :-27/12/2011″ are available online. 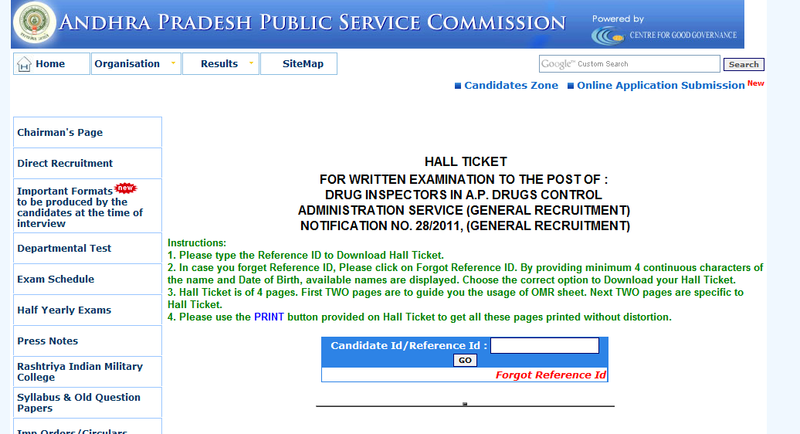 Exam is on 29/04/2012. 6 1)You only need to take printout of pages 3 and 4. 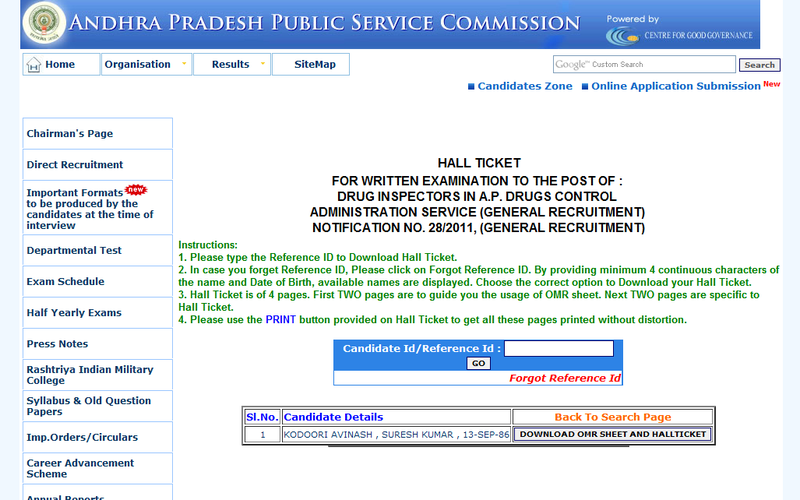 The first two pages are sample OMR sheet. 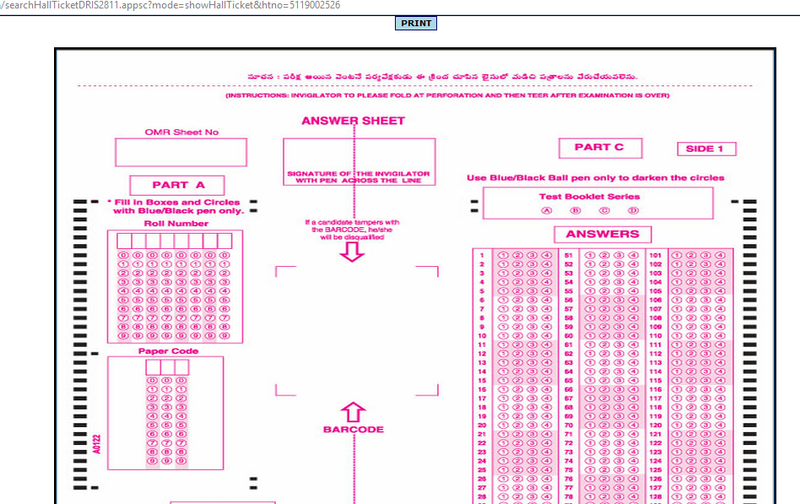 YOU NEED NOT TAKE A PRINT OUT OF THE OMR. It is only for GUIDANCE. 8 7) Answer the OMR by bubbling with BALL POINT PEN (GEL PENS and PENCILS not allowed). There is no need to take pencil to the exam hall. 1)You only need to take printout of pages 3 and 4. 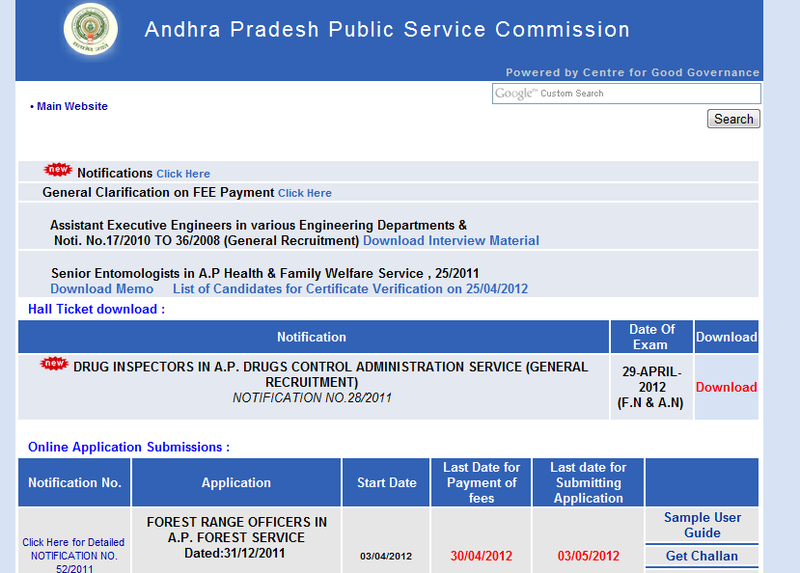 The first two pages are sample OMR sheet. YOU NEED NOT TAKE A PRINT OUT OF THE OMR. It is only for GUIDANCE. 7) Answer the OMR by bubbling with BALL POINT PEN (GEL PENS and PENCILS not allowed). There is no need to take pencil to the exam hall. can anyone upload the Old di subject paper?